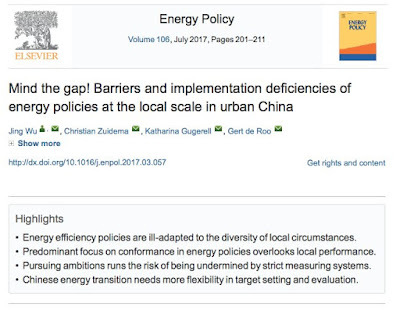 Highlights • Energy efficiency policies are ill-adapted to the diversity of local circumstances. • Predominant focus on conformance in energy policies overlooks local performance. • Pursuing ambitions runs the risk of being undermined by strict measuring systems. • Chinese energy transition needs more flexibility in target setting and evaluation. Professor David Bailey (Aston University, United Kingdom) For more information and Call for Papers please click here. "Reflections on Academic Lives - Identities, Struggles, and Triumphs in Graduate School and Beyond"
all these names have been used to describe an international academic movement that rose to prominence in the late twentieth century and continues to expand today. Book History creates and applies knowledge of the material, cultural, and theoretical aspects of the book, including manuscript, print, and digital media, along with associated practices of authorship, reading and collecting, within different disciplines in the humanities and information sciences. The field found an early home at the University of Toronto with the launch in 1994 of the Toronto Centre for the Book (TCB), which is now the public lecture series of the Collaborative Program in Book History and Print Culture (BHPC). It is with great pleasure we inform you that your abstract, with the ID 149 and title “OVERCOMING RESOURCE SCARCITY BY IMPLEMENTING STRATEGIC PLANS THROUGH PROJECTS: A LUXURY OR A NECESSITY FOR URBAN REGIONS?”, has been accepted to AESOP’s 2017 Congress in Lisbon. Now that your abstract has been accepted, please don’t forget to register and take advantage of the reduced fees until May 15! Moreover, please make your stay arrangements as soon as possible as it is high season in Lisbon. Architectural Histories is the international, blind peer-reviewed scholarly journal of the EAHN that creates a space where historically grounded research into all aspects of architecture and the built environment can be made public, consulted, and discussed. The journal is open to historical, historiographic, theoretical, and critical contributions that engage with architecture and the built environment from a historical perspective. The International Conference on Urban Health is the only global conference focused on advancing the health of people living in cities worldwide. Share your latest data and research: Abstracts are invited by 31 March 2017 for oral and poster presentations, panels, pre-conference workshops and special tracks alongside the invited leatcures. Abstracts are also invited (by 15 April 2017) for the Special Session: Healthy Inclusive Place-Making: Global Ideas for US Solutions. We are pleased to invite you to participate at our symposium Strategic planning – a way of incorporating landscape thinking into regional development at the IALE European Congress 2017 in Ghent, 12-15 September 2017. The objective of this symposium is to assemble talks that present and discuss innovative theoretical and empirical approaches of integrating landscape thinking into regional planning. As regional planning requires a mix of expertise, we encourage contributions which tackle conflicts between the socio-economic and the ecological dimensions, present conservation and planning strategies of green infrastructures at regional level, integrate perception studies into the planning process, account for coupled socio-ecological systems in planning scenarios, or develop tools to incorporate ecosystem services approach into regional planning.